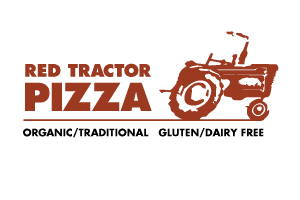 You are likely reading this blog because you already know a little bit about the Red Tractor Pizza mission – we make New York-style pizza with ingredients sourced as locally as possible, and we do in a sustainable, environmentally-friendly way. Operating a sustainable business means thinking about more than just pizza. Owner Adam Paccione is “thinking green” beyond the walls of his pizzeria. At home, he’s started making his own chemical-free, eco-friendly laundry detergent. It may sound like even more of a chore than doing laundry, but it’s easier to make than you might think. It’s also inexpensive, and it’ll make you feel a heck of a lot better about yourself and the planet! Whatever your reason for going green may be, we are here to help with a quick and easy lesson on how to make your own laundry detergent. If you’re more of a visual learner, watch the video by clicking here. There are lots of different homemade laundry detergent recipes out there, but this one is super easy and simple. You don’t even have to combine any of the ingredients ahead of time. Add your clothes to the washing machine. Add the washing soda and the chemical-free soft soap. When you get to the rinse cycle, use 1/8 cup up to 1/4 cup of white vinegar. Note: Make sure you add the vinegar to the rinse cycle, not the wash cycle! The vinegar works to rinse away soap scum and soften clothes, thus removing the need to use any fabric softener at all. For super dirty clothes, or if you need to whiten up your whites, you can use oxygen (non-chlorine) bleach. We got the basics for this recipe from Jill Potvin Schoff’s book “Green Up Your Clean Up.” But feel free to experiment with the amount of washing soda and soft soap you use to see what works best for your needs. While there are many eco-friendly products you can buy at your local health foods store, making your own products at home is fun, rewarding and more affordable! Most store-bought detergents are made with a new type of surfactant (a cleaning agent) that compromises skin-barrier function. That is, it makes it easier for chemicals to seep through your skin and into your body. These detergents put a heavy burden on our environment causing: 1)Depletion of Nonrenewable Resources, 2)Air Pollution, and 3)Habitat Destruction. Now that you know the facts behind store-bought detergents, are you ready to hop on the green train with us? Then do yourself a favor and watch our YouTube video for a visual lesson! 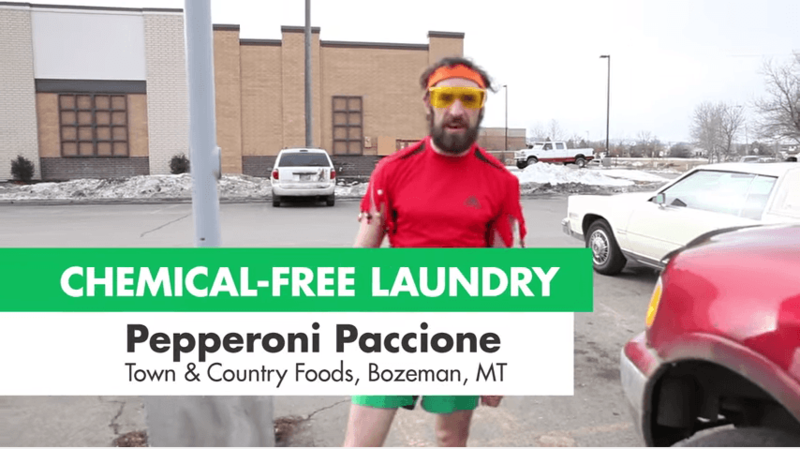 Adam “Pepperoni” Paccione doesn’t disappoint.